I am a certified noob when it comes to curling my hair. No matter how easy a curling wand is or how non-heat method like briad-hair-before-sleep-wake-up-with-curls is, I can't even seem to get that right. I permed my hair at a salon before and alas, the curls were gone in three months or so. Or maybe my hair, like my eyelashes, are just stubborn and refuse to curl. But today, I'm going to show you how you can easily create beautiful and natural curls using just 4 simple items! 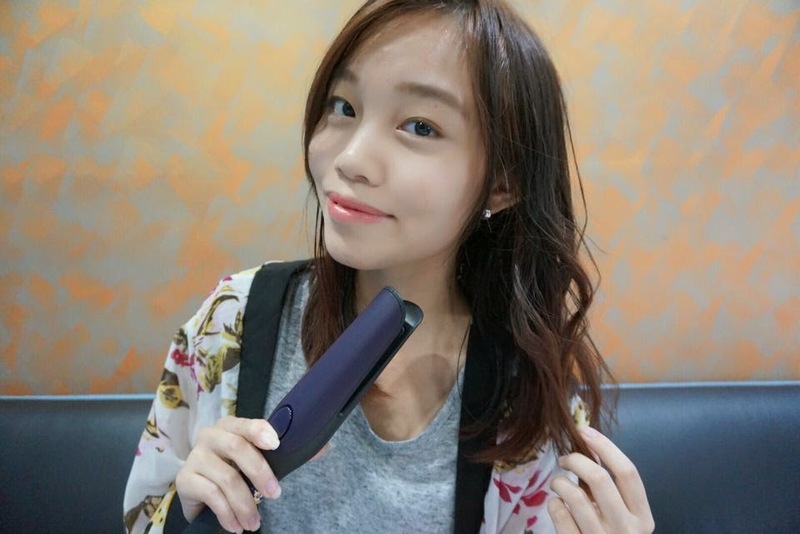 Thank you Philips, for the Easy Natural Curler, ThermoProtect Ionic Hairdryer and Easyshine Ionic Brush to get the soft, natural curls that I've always wanted. My main focus will of course, be this Philips Easy Natural Curler. Building on 60 years of beauty heritage, this curler is Philips' latest innovation in helping women to achieve stylish natural-looking curls easily. Philips understands that while luxurious curled hair can be a source of confidence for women, the curling process can be tedious, especially for the back of the head. The busy modern woman often can't find the time to go to the salon to style her hair properly, and that is why Philip' technical experts have worked alongside scientists and design & trend experts to offer this award-winning, high-quality beauty tool. It is easy to use, saves time and prevents accidental burns as well. 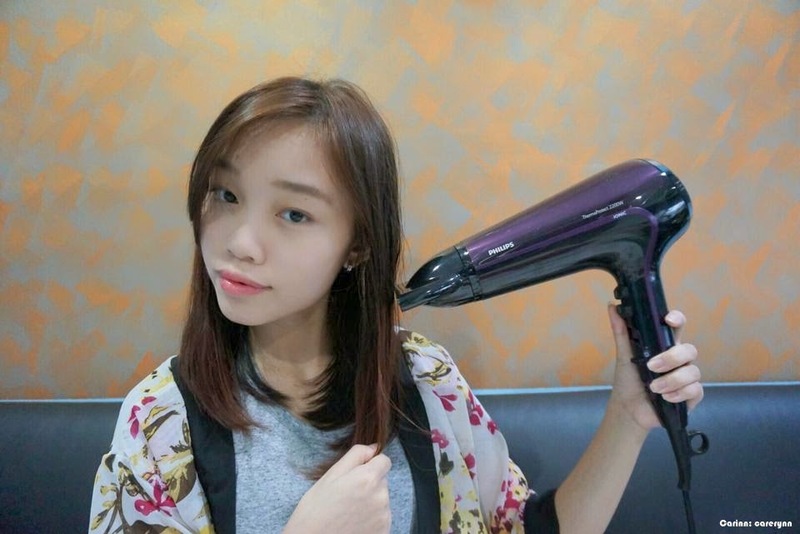 After unboxing the Philips Easy Natural Curler, I find that it is very safely packed in such a way that the contents will not get damaged easily, especially during the delivery process. What's unique about this curler is its Tulip shape which can help women create effortless curls in one simple step. 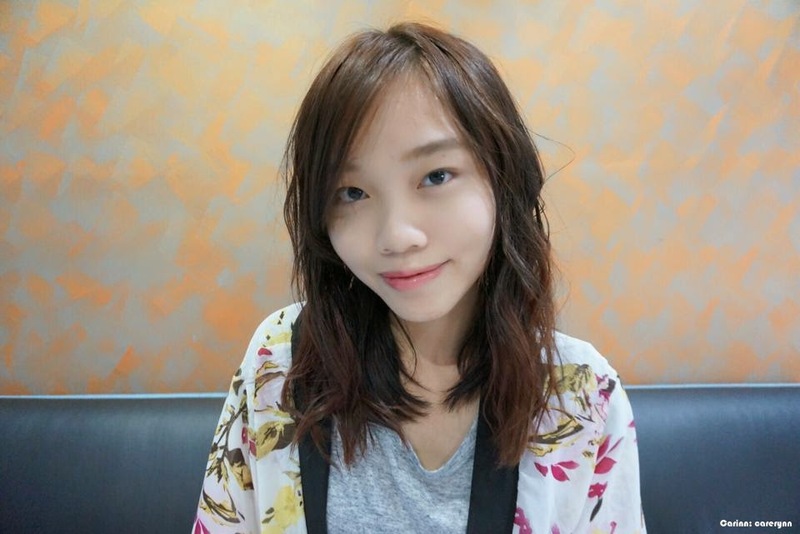 It is suitable to be used for short, medium and long hair lengths. Minusing the wire, the curler is just the right size - not too bulky nor small. Being lightweight and compact, making it convenient to carry in the handbag while on the go for a quick and easy hair fix. In fact, I brought the curler up with me to KL during my convocation and it didn't weigh down my luggage at all! This curler uses two innovative 'Clip & Curl' plates to automatically clip and hold the lock of hair while styling. The styling plates are coated with protective ceramic to ensure even heat distribution for shiny and soft hair, and also to prevent accidental brushes, burns or reduce damage to the hair. The plates can only be heated to a professional temperature of 200°C so no worries there about burning yourself or your hair! The wire is attached in such a way that it is able to rotate 360° so it does not get in the way of your hair curling. 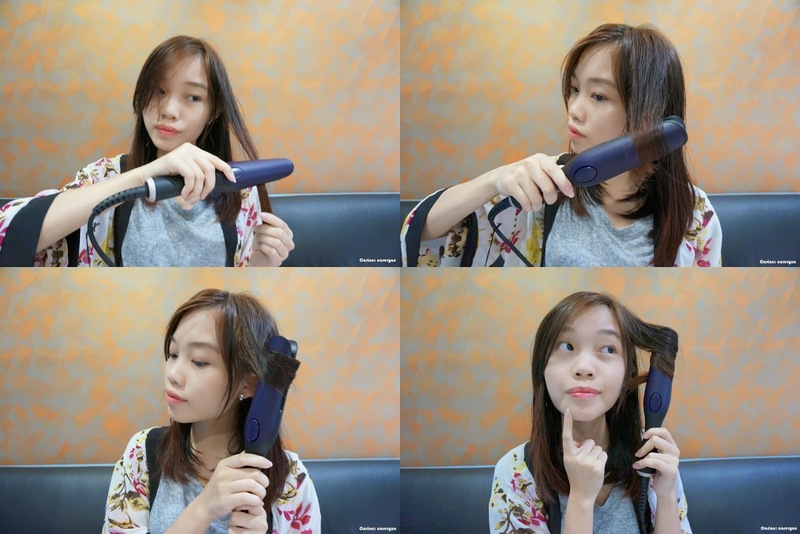 I'll show you just how easy the Philips Easy Natural Curler is. Start with my damp, limp hair lol. Just 4 steps is needed to get natural, curly hair. Step 1: Blow dry your hair with Philips ThermoProtect Ionic Hairdryer. This hairdryer has multiple speed and temperature settings. It protects your hair while featuring ThermoProtect for fast drying at a constant caring temperature, Ionic Care and TurboBoost. Step 2: Comb your hair with Easyshine Ionic Styling Brush which helps to make your hair smooth, shiny and healthy-looking as you brush it. After my hair is dried and combed out, it goes back to the usual wavy hair. Kinda bored of my hair, especially at the shoulder length now where it has no shape or body. Time to change that! Step 3: Wait for the Philips Easy Natural Curler to heat up. It takes only 30 seconds for the curler to heat up. Grab a section of your hair and clip it with the curling iron. I usually start from the middle section to get more natural-looking curls. Roll up that section of hair and count to 20seconds for your hair to take shape. Tadaa! Isn't it fast and easy? Step 4: Finally, use the curling wand to blow out the hair and separate it for more natural curls. 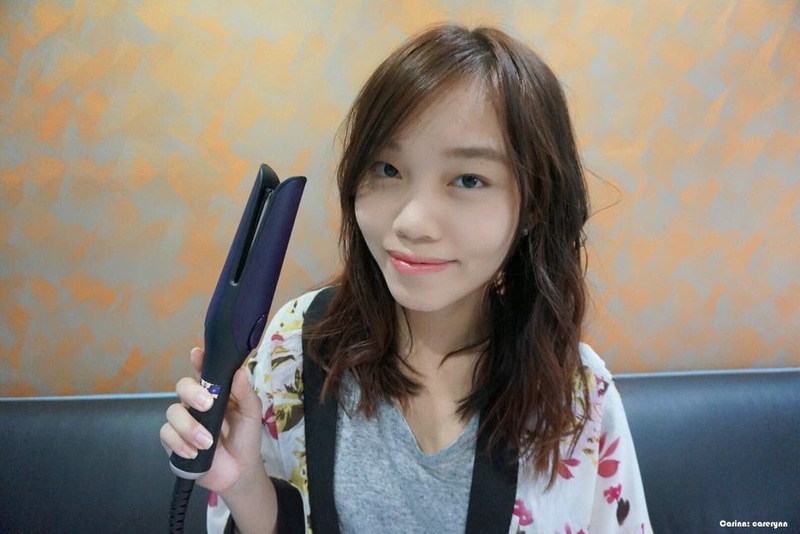 Thanks to the Philips Easy Natural Curler, even a noob like me can curl my hair easily now! My favourite part of this curler is that it is covered with a protective ceramic layer so I won't burn my hand or my hair. I'm a klutz so this curler is really helpful to me! However, I do feel that it doesn't heat up fast or hot enough while getting ready. Other than that, I think I've found my new fave curler! PS: The inspiration behind me cutting my hair short was so that I can style it to look like Jenn Im of Clothes Encounters! XD Glad this curler can help me achieve that look now! 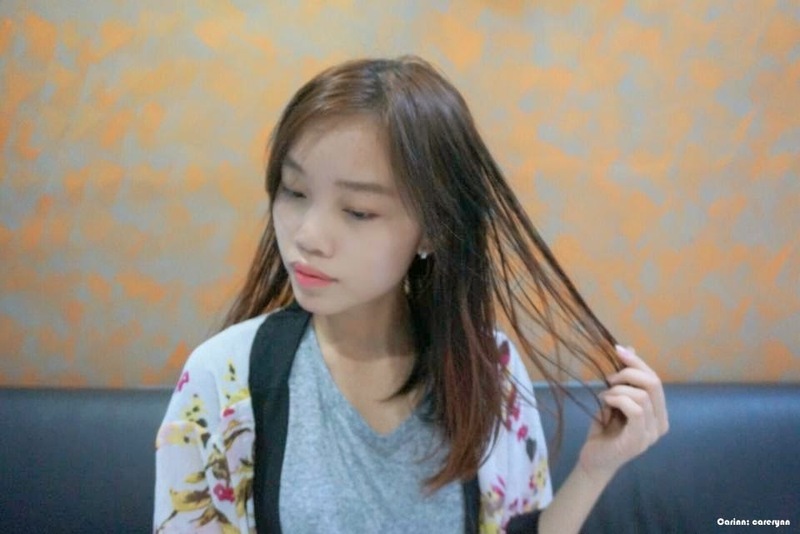 This is indeed an innovative hair styling product that allows women to experience technology that they would normally only find from in a salon, right in the comfort of their very own home or even on the go. Get the Philips Easy Natural Curler at only RM169 from departmental stores or www.blipmy.com. Disclaimer: Even though the products were sponsored, it has not affected my opinion in anyway. The review is based on my honest personal thoughts, experiences and preference after trying out the products and services. How I use it may not be the best way to use the product and effects may vary depending on various conditions. Interesting and informative post.I am going to collect best essays for my research work.Any suggestions or tips. Thanks a lot for this detailed review! I want to buy it! 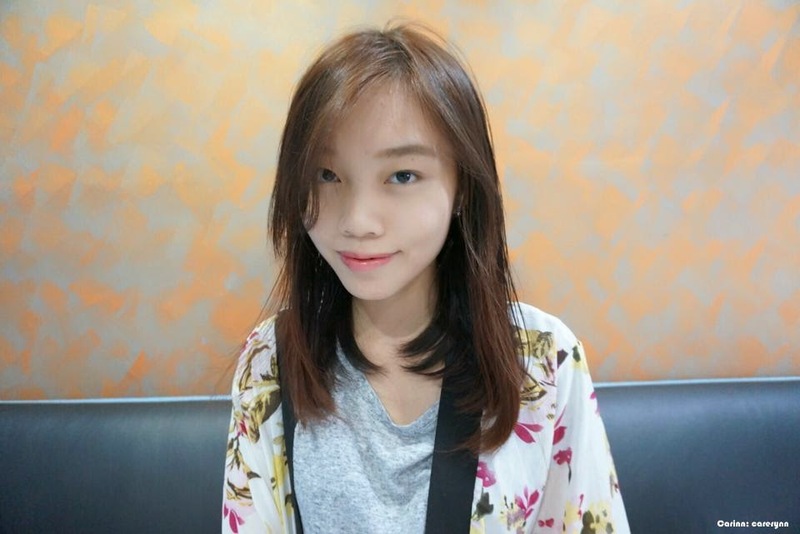 You can use thesis paper to know more!